Ad tags are the pieces of code that connect impressions on a Publisher's site to Cliques' servers. Read below to learn more. 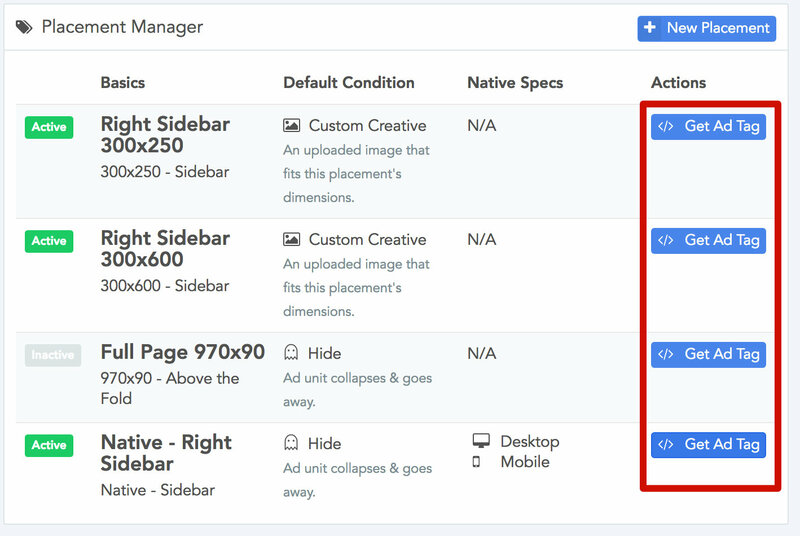 From here, you can configure your ad tag and copy it to your clipboard whenever the configuration is complete. Static dimensions mean that tags will not fully collapse if Default Condition set to "Hide"
Require about 2KB of additional bandwidth per page-load. You can choose whether or not your tags use SSL/TLS encryption by toggling the "Secure" option in the ad tag configuration window. If your website is accessible via SSL/TLS-encrypted communication (i.e. 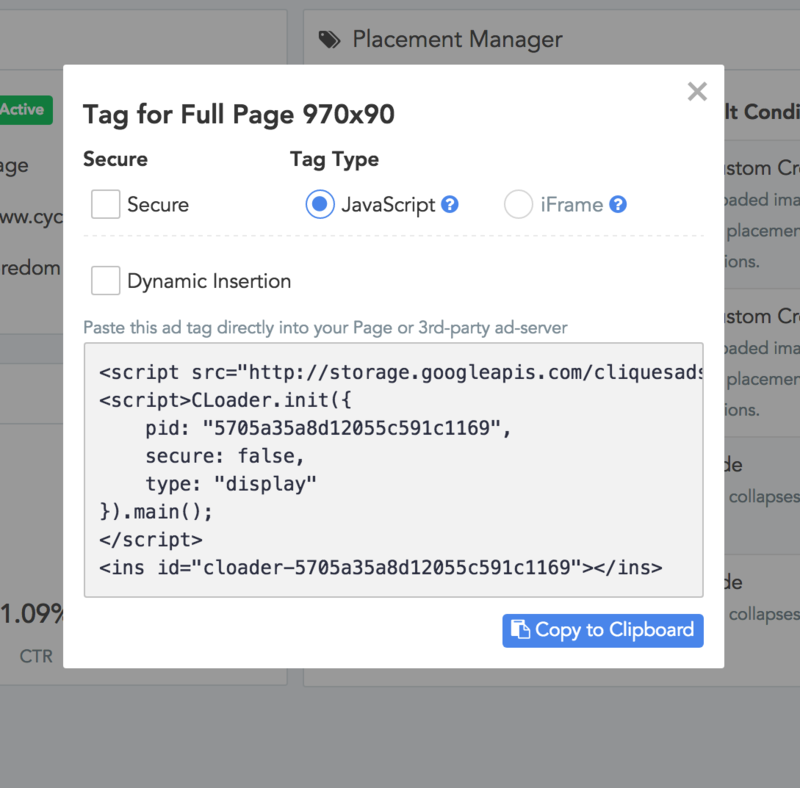 "https"), then you must export "Secure" ad tags. Always use the Console to export secure tags. Changing the protocol on a non-secure tag from "http" to "https" will not work.